Indira Gandhi Cultural Centre is going to organise an evening of Rabindra Sangeet by renowned Tagore artiste Sadi Mohammad. The musical soiree will be held tomorrow at 6.30 pm at Chhayanaut Main Auditorium, Dhanmondi in the city. 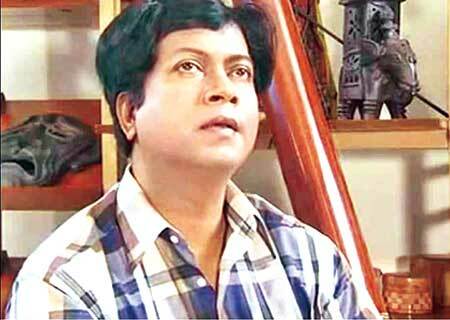 Sadi Mohammod is one of the eminent Rabindra Sangeet singers of Bangladesh. From his childhood days, he was attracted towards music and the radio was his constant companion. He would listen to the songs of famous musicians, Hemant Kumar, Lata, Pratima and Shohorab Hossain and others. Sadi Mohammad and his family passed through a traumatic period during the 1971 war. Sadi lost his father, and with his mother and other siblings he had to leave Dhaka and took shelter in their village home. Sadi's two elder brothers joined the Liberation War and he became the custodian of the weapons of the freedom fighters. After the Independence of Bangladesh, Sadi came back to Dhaka and started anew. In 1975 his dream of studying music came true when he got the ICCR scholarship and went to Shantiniketan. He completed his B(Mus) and M(Mus) from Visva Bharati University. There he was in close contact with legendary singers Shailajaranjnn Mazumder, Shantideb Ghosh, Kanika Bandopadhyay and Neelima Sen, a memory he cherishes always. Thereafter he returned to Dhaka where he started his colorful musical career as an extraordinary singer and a devoted teacher. In 1981 he joined the Dhaka Government Music College. He worked there for a long period of 35 years and retired as a professor in 2013. He was the founding chairman of the music department of National University. He was also associated with the foundation of Sangeet Bhaban in 1985. In 1987 he established his own organization "Rabirag", which is a prestigious musical group. During his long career, Sadi Mohammod worked with many artists, but his work with singer Rezwana Choudhury Bonna and Elocutionist Kamrul Hasan Manju is worth mentioning. Sadi Mohammod's musical tracks will be found in more than 60 CDs. Viswavarati's 66 volumes of 'Sharabitan' edited by him and later made into 18 volumes was published in 2016. As an eminent Tagore singer, Sadi Mohammad's work was recognized throughout the world and he got many awards and honours including Citycell Channel I Award (2010), Channel I Life Time Achievement (2012), Bangla Academy Rabindra Award and the title of "Rabindra Guni" (2017) by Khamkheyali Sabha.